Forno Bravo’s comprehensive guide to making world-class artisan wood fired pizza in your Forno Bravo pizza oven. Over 60 pages of recipes and techniques, including sections on flour, dough, yeast, pizza assembly, baking and unique recipes. All supported by descriptive photos and graphics. The ultimate wood fired pizza making guide. Downloadable pdf file. At the time you check out, you will see the order detail with the link shown by the arrow below. 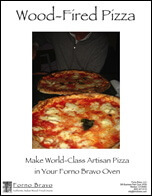 Simply click on this link and your Wood Fired Pizza eBook will download to your screen. 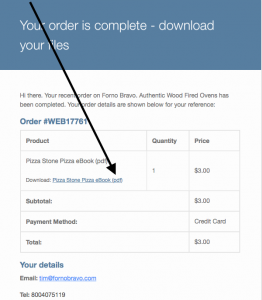 When using PayPal please ensure you click the “Return to Forno Bravo” link to complete your purchase. Failing to do so will not trigger the confirmation email that sends the download link to your eBook. 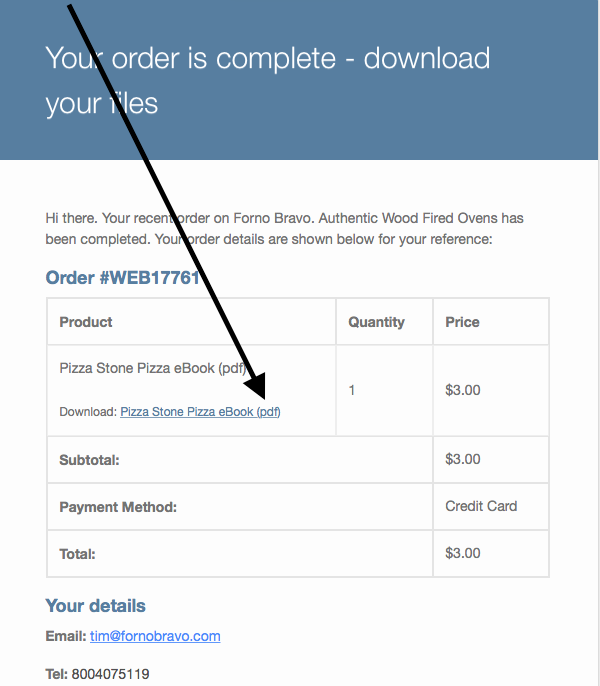 If you do not receive the email link, email us at support@fornobravo.com or reply to your invoice confirmation and a Forno Bravo staff member will email you the eBook PDF the next business day.